The good: The crevax website displays success stories with before and after photos. The bad: The ingredients leave much to be desired. Crevax seems to be nothing new – just another caffeine pill. The bottom line: While CreVax might state on their website that they have everything under control in terms of weight loss, a closer examination of the actual ingredients will show that the claim is speculative at best. Diet pills are difficult to purchase from the point of view of the intelligent consumer. This is because it is hard to know the difference between diet pills that can actually work and pills that are nothing but gimmicks. In this way, diet pills are actually a lot like actual diet plans themselves in that there are some that work and some that don’t. Information is available below to help you make the final decision regarding the CreVax diet pill. The overall price of CreVax is different depending on the specific purchase that you make. There are many packages available, with different prices attached to each. However, the base price of one bottle of CreVax diet pills is $69.95 and in that one bottle you will get enough pills to last you 50 days if you are going to take them according to the instructions provided. If you decide to purchase in bulk then you can get discounts on that price, but no discount is large enough to make any other package cheaper than the purchase of a single bottle of pills. The price listed above converts to approximately $1.40 in terms of the daily price that you pay in order to be on this pill regimen. When compared to other diet pills, this is quite significantly below average and that is definitely a point in the favour of CreVax. In addition to the relative cheapness of the product in monetary terms, there is also a 100% money back guarantee attached to CreVax for 30 days. Another good point about CreVax is that the instructions for taking pills are very easy to understand. During the first three days of your CreVax regiment, you will want to take two of the pills before you eat your first meal of the day. In addition to that, you will want to take one pill before eating your first meal on the fourth day and then allow two days to pass without taking any pills. Repeat this cycle until you run out of pills to take. The instructions are simple and easy to understand and that is more than can be said for other diet pill alternatives. The money back guarantee that CreVax provides comes with a catch, as you can only return bottles that have not been opened. While this is not good for people that buy one bottle, it will at least allow people that make bulk purchases to get some of their money back if they don’t like the diet pills. Additionally, the ingredients list for CreVax seems to be counterintuitive in terms of what it can actually do. The ingredients include things like taurine, guarana, caffeine and green tea and while some people have reported success in taking such a mixture, there are others that will argue that there is no proof that such a list of ingredients could result in sustained weight loss over time. This is ultimately a decision you need to make for yourself therefore, since there is some risk involved in making a purchase. 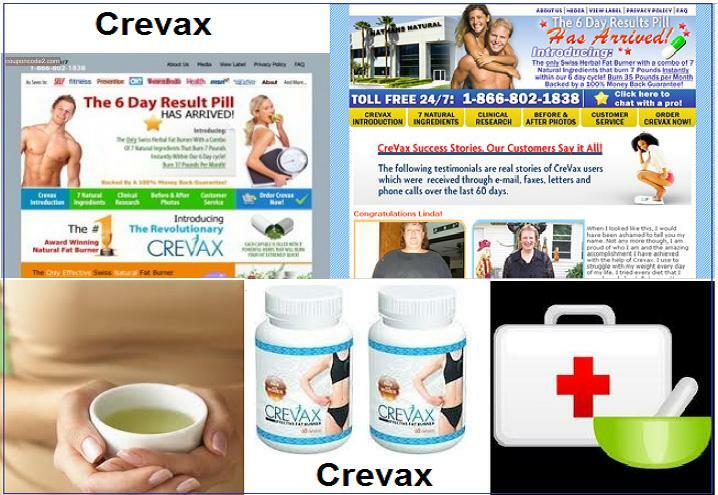 While CreVax might state on their website that they have everything under control in terms of weight loss, a closer examination of the actual ingredients will show that the claim is speculative at best. I used CreVax for 3 months and I did lose 60 lbs. I was working out as well about 45 mins 3 days a week and strength training 2 days a week. I found that I was not as hungry and my weakness for sugary foods had stopped. didn’t work for me. bs. I had started using Crevax last year from January to May and had lost a total of 60lbs. I worked out and ate well balanced meals. I stopped using Crevax and maintained my weight up until Christmas and I gained back 20lbs. I reordered my Crevax and I am shooting to loss 50lbs so I can be at my ideal weight. 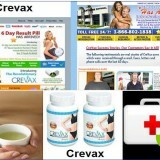 Crevax is a great product when used with a easy workout plan and well balanced meals.